Remember in the ’80s when black lacquered bedroom furniture was all the rage? Deco-style curves and gold trim completed the look. While many consider this style to be outdated, I still happen to love it, but today’s post isn’t about me! 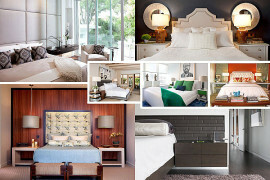 It’s about the power of black bedroom furniture in today’s design world. Are you hooked on black furniture for the boudoir? 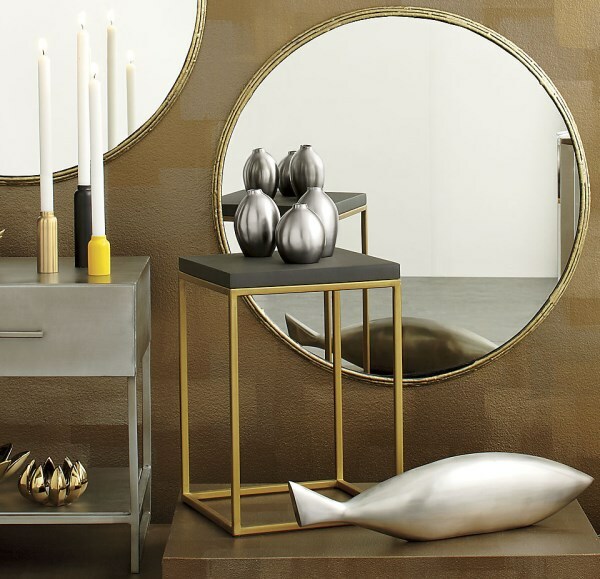 Not only is it versatile, it has the power to anchor a space, thanks to the powerful statement it makes. 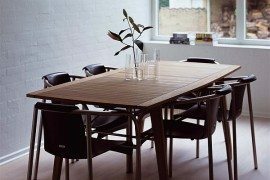 We end today’s post by featuring some furniture finds and including helpful links with purchasing information. Below we see the Mid-Century Bed from West Elm, complete with a classy black finish. A streamlined form and tapered legs give this piece retro-meets-modern power. For a slightly softer look, go with a bed that incorporates the color black into a woven fabric. For example, the Hoffman Bed from Room & Board is a nice blend of dark and light, creating an overall charcoal effect. 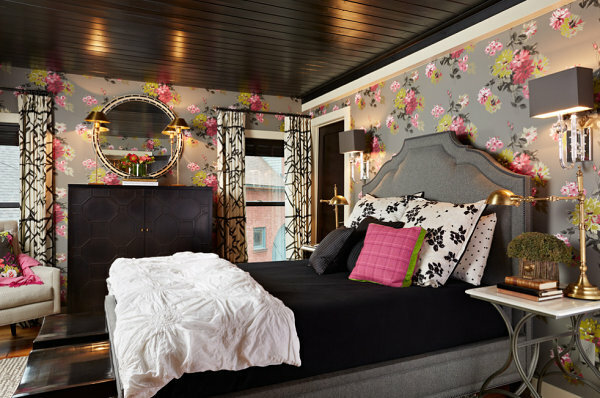 A similar fabric on the desk chair adds depth to this bedroom, which features a dark wall and black window treatments. We now move on to bedroom seating, some of which can also perform nightstand duty. The Zemi Stool from CB2 combines black and brass for a striking contrast that celebrates the beauty of a simple yet strong form. Bring on the sophistication! 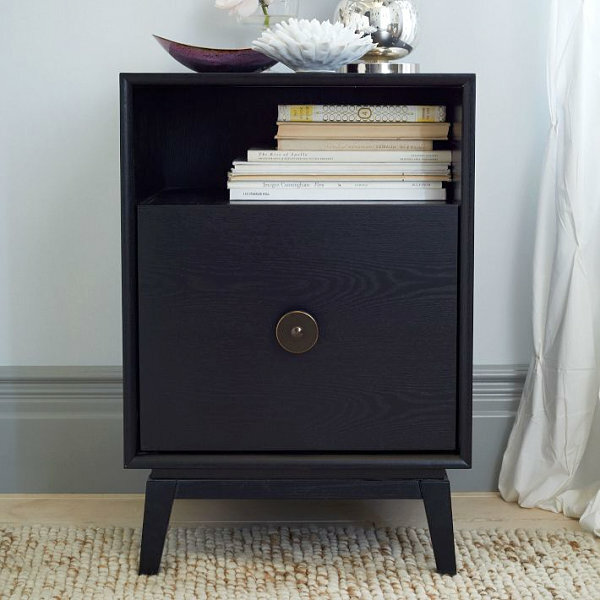 The Deco-style Marguerite Nightstand from West Elm incorporates two of today’s most popular design trends: black lacquer and brass-finished hardware. Not to mention, the piece features back cable cutouts that are perfect for devices such as alarm clocks and phone charging stations. Ready for a little bit of geometry? 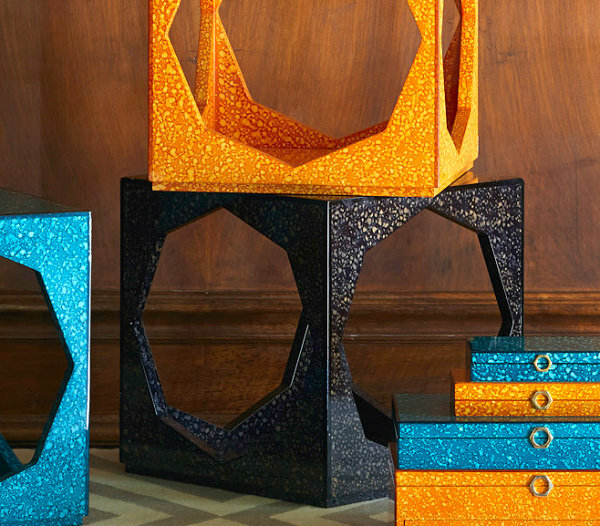 The Toulouse Cube Side Table from Jonathan Adler is made with fully mitered construction. The result: crisp corners and edges. A multi-step hand finishing process creates the textural pattern, and a coat of smooth lacquer tops it all off. 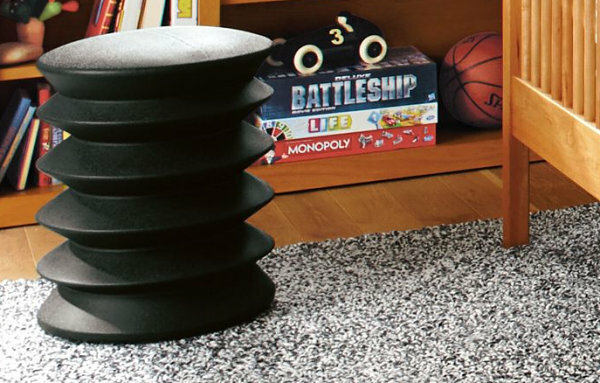 While the piece comes in a variety of colors, we’re fans of the black table. Imagine how this item would pop against a colorful bedroom wall! 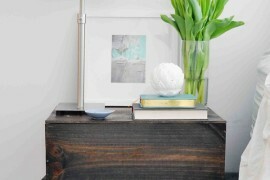 For a touch of industrial style, check out the Harvey Carbon Grey Nightstand from CB2. Providing the storage and display benefits of two shelves, this handy nightstand is compact yet highly functional. 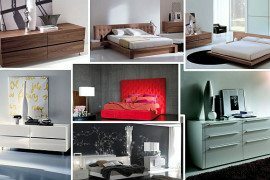 Black bedroom furniture is an excellent solution for any bedroom space. As we’ve seen today, the style possibilities are endless, regardless of the look you’re trying to create. And if you have hardwood floors as in the bedroom above, there’s nothing like an ebony piece of furniture to offset the warm tones. 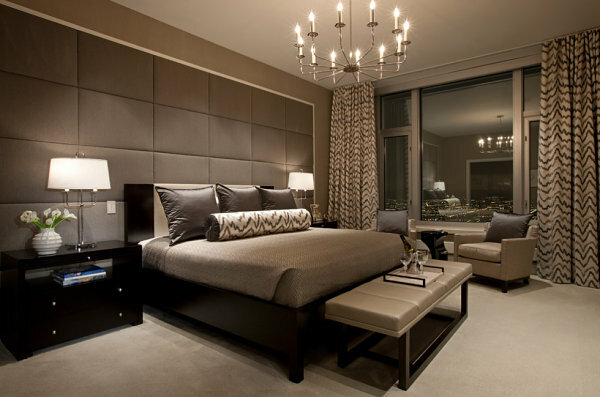 Hope today’s post inspired you to incorporate a black furnishing or two into your own boudoir!